Talented young actress Cara Readle from Swansea works with us to help raise our profile and funds for the charity. Born with cerebral palsy, Cara has had a successful acting career. She is best known for her role as Layla in children’s TV show The Story of Tracy Beaker and has also appeared in Zig Zag Love and Casualty. More recently Cara has worked with BBC Ouch! to share life experiences about her disability. She has also starred in the BBC Wales series Baker Boys. 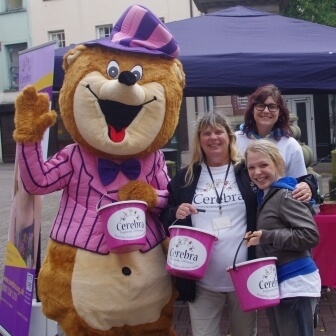 Cara has thrown herself into helping us fundraise, taking part in community collections and organising her own sponsored walk along Swansea seafront.